The popular perception is that any insurance claim a driver makes results in increased premiums upon renewal. Generally speaking, that’s a fair approximation of the process, but like most things general, it doesn’t reflect every situation. Having an accident doesn’t mean that your rates automatically go up. There are other factors as well as circumstances related to the type of collision that happens. Understanding the process — from collision to repair — helps establish what may occur with insurance rate after a car crash. 3 How is Accident Fault Established in Ontario? 4 What happens if I’m assigned fault in an accident? 5 When Do I Pay Deductibles After an Accident? 8 What is Accident Forgiveness? After an accident, you have seven days to report it to your insurer. This is done through an agent, broker or directly to the insurance company. It’s important to note two things. First, if you take longer than seven days, your insurer may not need to answer your claim. Second, simply reporting an accident doesn’t mean that you must start a claim. Many drivers believe that their rates inevitably go up after they report an accident, but this is just not the case. Using cell phone cameras to photograph the needed information is usually easiest in the aftermath of the accident. It’s a simple matter to photograph driver’s licences, insurance slips, licence plates and ownerships, as well as damage to vehicles and current weather conditions at the time of the accident. A claims adjuster reviews your file after reporting. 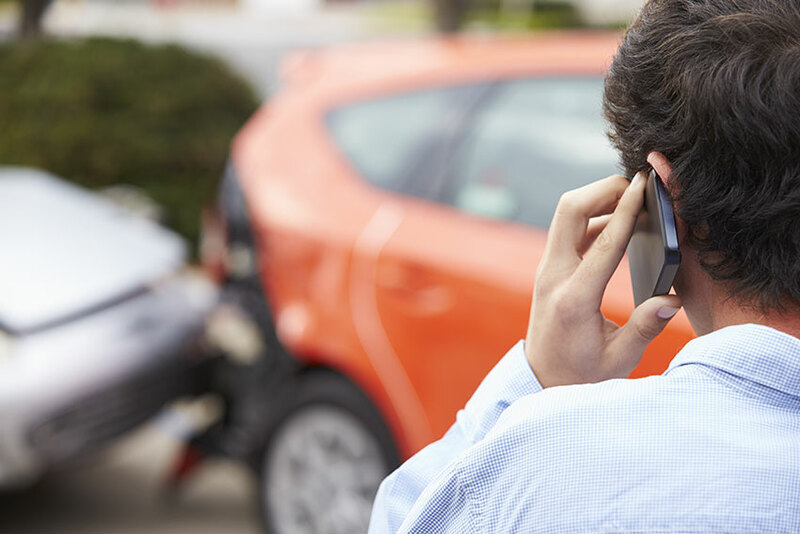 Once you’ve discussed the accident with the adjuster, you may decide not to file a claim. The adjuster can advise you how this decision may affect your particular claim. If you choose not to make a claim, there may be no change at all to your insurance situation. However, there are some factors that would still cause a premium increase. For example, if you’re charged with a traffic offence by police, there may be insurance repercussions, even if you don’t file a claim. In many cases, filing a claim takes the immediate financial burden off the driver, permitting repairs, car rentals, health care and lost income recovery to occur. Even at this point, there may be no pending increase for that driver’s insurance policy. It all comes down to fault. How is Accident Fault Established in Ontario? As part of Ontario’s mixed no fault/tort system, fault is always established by an insurance investigation after an accident. This fault has no relation to any determination police make. Insurers use fault determination rules to assign which driver is at fault and what proportion of fault they carry. There are over 40 accident scenarios in the fault determination rules made under the Insurance Act. Every accident gets compared with these scenarios and the fault proportions stated in the scenario gets applied to the accident. This determines if fault is exclusive to one driver or shared between drivers. Any driver who is more than 25 percent at fault may see a premiums increase due to the accident. What happens if I’m assigned fault in an accident? Each driver involved in an accident rates between 0 and 100 percent at fault. Any fault rating greater than 0 goes on the driver’s insurance record, though 25 percent is usually the threshold for premium increases. Lending your car to someone also lends your insurance. If they have an at-fault accident in your car, that fault counts against your insurance. Fault assignments can be appealed. First, speak with the adjuster assigned to your case to find what fault determination rule applied to your accident. If you have additional information, present it to your insurance company for possible reconsideration. For example, if a witness comes forward after the insurance investigation, their statement could change the fault determination rule used. Every insurer has a Consumer Complaint Officer. If you remain unhappy with your insurer’s position, contact their officer. They provide you with the company’s final position and supply information for an independent ombudsman for review and follow-up. When Do I Pay Deductibles After an Accident? A driver fully at fault for an accident pays the full amount of any deductibles applying to the repair of the vehicle. For example, if repairs cost $5,000 and the collision deductible is $500, the at fault driver pays $500 and the insurance company pays $4,500. If the same driver is 50 percent at fault, then they would pay $250, with the other $250 coming from the the Direct Compensation-Property Damage coverage, where the deductible for that portion is $0. If the other motorist bears 100 percent of the fault then the DC-PD coverage pays the full amount. The driver without fault pays no out of pocket amounts, has no at fault accident added to their record and should see no premium increase resulting from the accident. Whenever you switch auto insurance providers, there are factors to consider that affect both cost and timing. If you’re switching companies after an accident that resulted in an insurance claim, you can’t avoid disclosing that incident. If your new insurer doesn’t discover the accident through other means and finds that you’ve withheld the information, your coverage can be cancelled when you need it most. 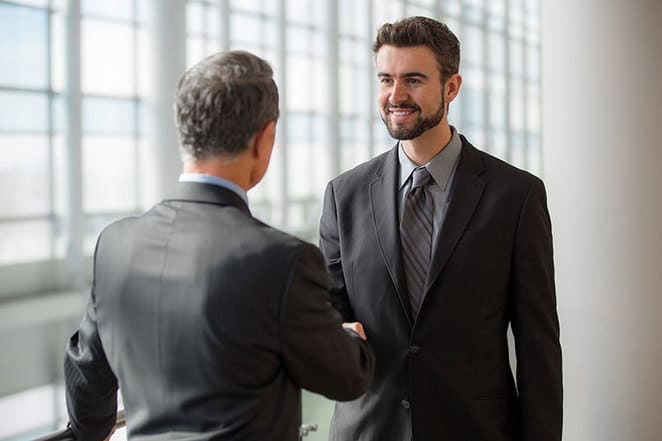 Arrange insurance from the new company so that it matches or overlaps the expiration of your previous policy. In Ontario, car insurance policies cover a 12-month period in most cases. Some, but not all, companies offer 6-month terms. Whether you pay monthly or annually — and that choice is up to you — your insurance company expects completion of the full term. When you switch away from a company before the policy expires, there may be refunds, cancellation fees or both. If you’ve prepaid for insurance, the insurer repays premiums covering the unused portion after the cancellation date, if any. Insurance companies can charge administrative amounts for months remaining in your original car insurance term. Such a fee reduces the closer you are to the end of the policy term. Involvement in a car accident doesn’t guarantee that insurance rates will increase. Before an insurance company can assess a higher premium, you must be assessed with complete or partial fault for the accident by an insurance investigator. This is separate from the police investigation. It is possible that you’re not charged by police, but ruled at fault by the insurance investigator. Insurance companies compare your incident to standard accident scenarios. These scenarios show fault assignment, removing the investigator’s opinion.If you’re not assigned fault, your premiums will not rise. You’re obligated to report any accident to your insurer. Withholding information or providing incorrect data gives insurers the right to cancel your policy or deny insurance claims. Switching insurance companies does not relieve this obligation. No matter what your car insurance situation, comparison shopping is the best way to find the lowest premiums in Ontario. The best way to search many insurers in one shot uses Ratelab’s car insurance calculator. It’s free and carries no obligation. Enter your information and car insurance needs and the calculator searches Ratelab’s insurance partners for the lowest prices and best fit. Accident forgiveness is an optional endorsement some insurers offer that claims to counter the effects of a driver’s first at fault accident. Each insurer creates the terms for their own accident forgiveness plan, so not all of the endorsements work the same way. In essence, the driver pays an amount prior to any incident for the privilege of having the effects of the incident wiped from their insurance claims record. Of course, the accident is still on their record, so changing companies puts the accident back in play, but for the purposes of current insurance, premiums won’t rise. Astute consumers recognize that premiums paid for the accident forgiveness protection represent a pre-payment that may or may not be less than any prevented increase. Get started right now by entering your postal code and finishing the data entry. The more accurate your information, the closer your quotes will be to your best rate. Can I Drive a Car in Ontario Without Insurance?